Last year, Sanz was struck down by Epstein Barr virus - the same illness that curtailed the career of MotoGP rider Jonas Folger in 2017 - and then also contracted Q-fever. 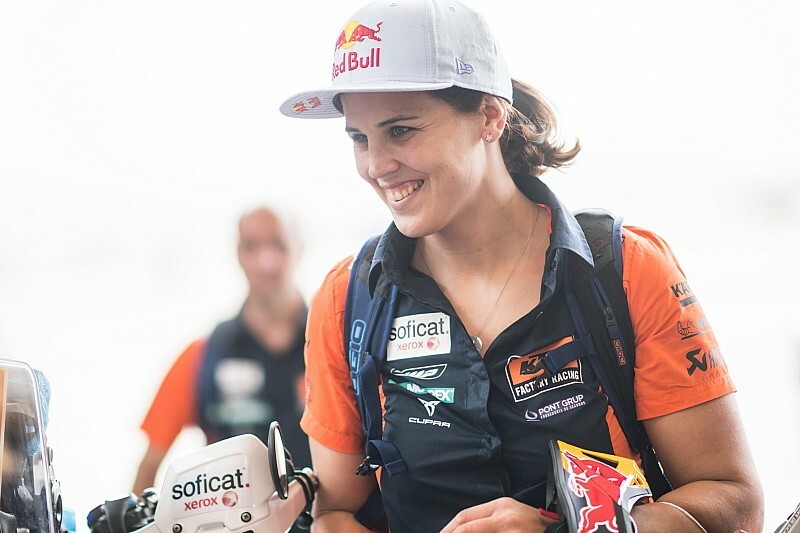 Although she was forced onto the sidelines for much of the year, and missed the traditional Dakar warm-up event Rally Morocco, she recovered in time to take part in her ninth consecutive Dakar as part of the KTM factory team. Sanz didn't breach the top 10 on any stage, but she steadily ascended the leaderboard to end up 11th, her second-best result after her ninth-place finish in 2015. 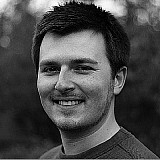 "I do not believe it, because it has been one of the best years in terms of results," Sanz said. "It's not one of the ones where I've pushed more, but taking a somewhat calmer rhythm has meant that I did not have any problems. There were no stages where I got lost. 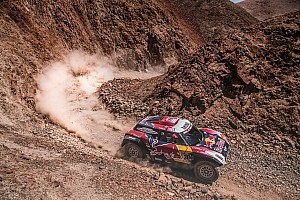 "I could not imagine [finishing the rally] one month ago, so I can be more than happy. 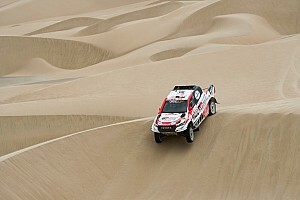 "It was a very special Dakar, probably the most. I really had not been so nervous in the last stage in all the Dakars that I have contested, but now I am very, very happy." 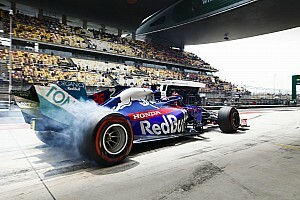 She added: "I am very surprised of the result and grateful to the team for their support and the people that have helped me during these months, which have been difficult. "Nine Dakars finished from nine started is something great; we will have to go back for the 10th." 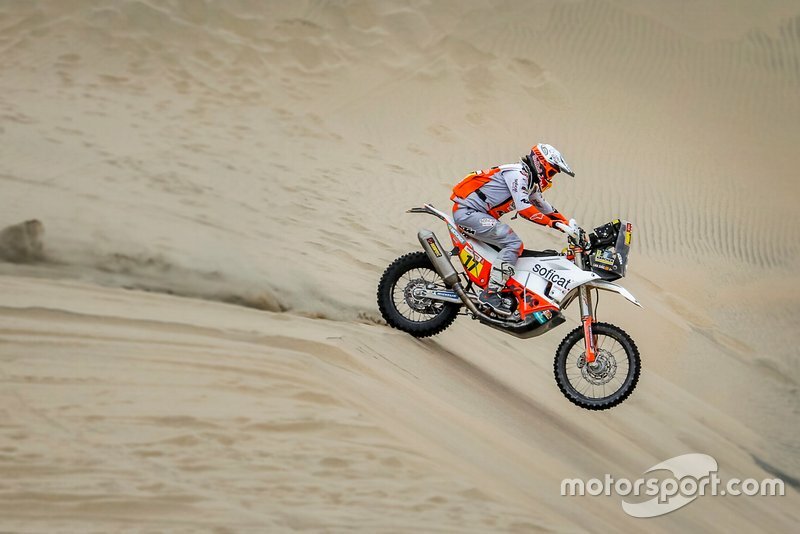 Sanz also paid tribute to her KTM stablemate Toby Price, who nursed a broken wrist to claim his second Dakar title - and extend KTM's unbroken streak of wins dating back to 2001. "Toby is from another planet," said Sanz. 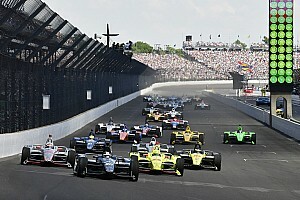 "With a broken wrist and very strong pain, I don't know how he was able to maintain the pace needed to win the race. "Each day when he arrived at the bivouac, he dropped his motorcycle, because he could not hold it anymore. It was brutal, and I'm very happy for him and the whole team." 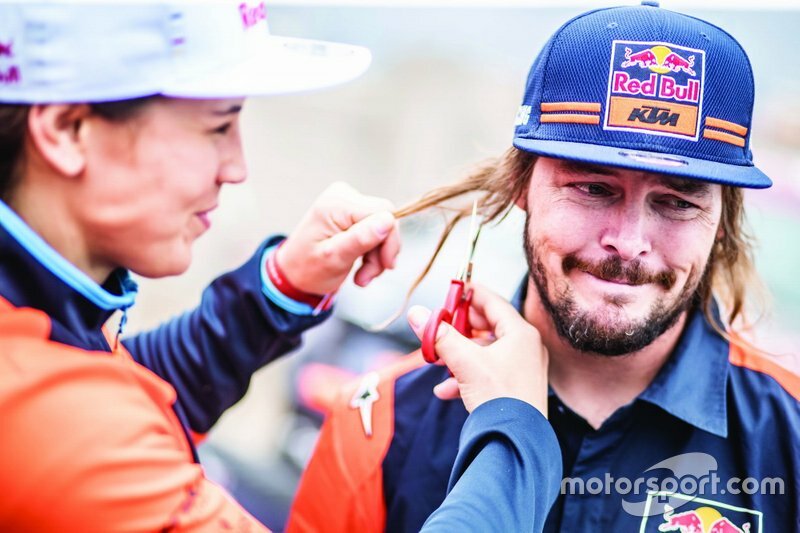 Earlier in the rally, Sanz had made a bet with Price that if she finished inside the top 15 she could shave off the Australian rider's hair, and with her 11th-place finish she earned the right to do so (pictured below). As part of the deal, Price got to kiss Sanz for five seconds as he upheld his part of the bargain - finishing in the top five.